Entrepreneur. Monday, 15 Apr 2019 15:00:00 GMT. An executive at Marketo shows why. Forbes. Saturday, 6 Apr 2019 16:37:00 +0000. Zacks. Thursday, 04 Apr 2019 19:36:00 GMT. How do you find people willing to not only provide a quick 10-word endorsement of your business but also spend a considerable amount of their time publicly talking about how they use your product or service and the benefits it provides? Forbes. Wednesday, 3 Apr 2019 08:00:00 +0000. JPM Coin is not meant for consumer payments, but rather is a specific technology for a specific use case that the bank controls. Its value comes not from JPM Coin's appeal, but from JPMorgan's titanic wholesale payments business. American Banker. Tuesday, 19 Feb 2019 14:39:43 GMT. Slim Furniture, an indoor and outdoor modular furniture resource, is making the transition from business-to-consumer to business-to-business and taking some big lessons from consumers with it. Furniture Today. Thursday, 29 Nov 2018 09:15:00 -0500. All rights reserved. 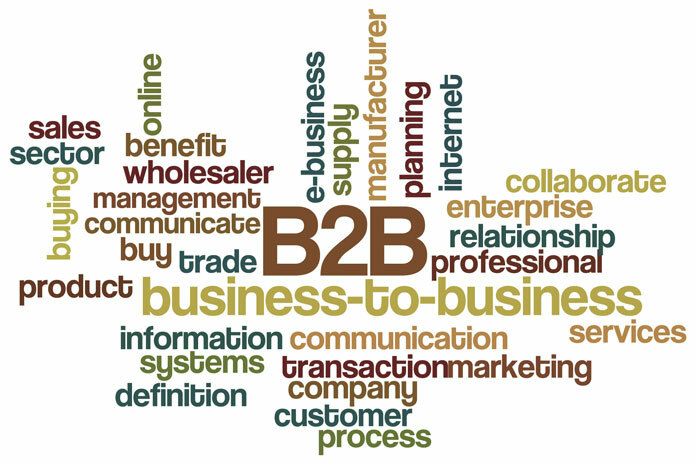 B2B News. About Us.